The message from the majority of clinicians and scientists is clear; Brexit is bad for our health. It will be harmful for people who rely on the NHS, research, social care and public health as well as for the workforce on which these depend. We have listened to the evidence presented to the Health and Social Care Committee in Parliament, and we cannot remain silent about the impact that this will have on the people we were elected to represent, especially in the event of a chaotic exit with no deal and no transition. We are about to knowingly, and avoidably, inflict reckless damage on the close partnerships in healthcare, built up over decades, and in place at every stage from research and development, to medicines and devices arriving in pharmacies or hospitals. There is no version of Brexit which will benefit the NHS, social care, public health, or our life sciences sector—only varying degrees of harm. This, together with the wider economic fallout from Brexit, will have the hardest impact on the most disadvantaged people in society. The reality of Brexit is vastly different to the fantasy Brexit that was mis-sold to the public during the referendum campaign. The promise on the side of the bus of an extra £350m per week has crashed into the inconvenient truth that there is no Brexit bonanza for the NHS, only a Brexit penalty. The committee heard evidence that pharmaceutical companies are already spending hundreds of millions on contingency planning. Ultimately these costs will be passed on to the NHS and taxpayers, money that would be far better spent investing in patient care. The costs will only increase as the clock ticks down to 29 March 2019. Stockpiling and refrigerated warehousing do not come cheap, let alone chartering special air freights for medical radioisotopes and other essential supplies with short shelf lives. Many companies are already concluding that it is in their best interests to relocate, or at least halt investment in the UK, as a direct result of the uncertainty and disruption. Brexit is major constitutional, economic and social surgery and we are all being wheeled into the operating theatre on the basis of a vague consent form signed over two years ago. It is time to insist that our politicians apply the principle of informed consent. Once the government has stopped negotiating with itself and agreed with our EU partners which of the many versions of Brexit to take forward, it must set out what that means and in full. Only at that point can the public properly weigh up the risks and benefits of the proposed surgery. It is essential that they have the opportunity to do so, followed by a referendum on the final deal which includes the choice to remain in the EU. We all have the right to make risky decisions and it is possible that the public would come to the same conclusion to leave the European Union. To proceed without informed consent, however, would not only be grossly unethical, it would also place the blame for the unintended consequences squarely at the feet of all those politicians who allowed it to happen. A group of current and former clinicians in Parliament plan to bring forward an “informed consent” amendment to the “meaningful vote” approval motion on the final deal. It is not acceptable for MPs to sit on the sidelines claiming that the people have already delivered their verdict. Without informed consent there is no valid consent. The best way to give legal weight for a referendum on the final deal would be through amending the approval motion to make this conditional on a referendum. If the motion is approved without amendment, there are no binding mechanisms to introduce a “people’s vote” at a later stage. It is highly risky to rely on collapsing the government or forcing a No Deal Brexit as preconditions for supporting a referendum. The reality of the Parliamentary arithmetic is that there can be no referendum unless Labour supports one. Most Labour members do, but unequivocal front bench support for the “informed consent” amendment will be needed for it to pass. With less than 140 days to go until we could chaotically crash out of the EU without a deal, it is time for all MPs to take responsibility for avoiding the consequences. 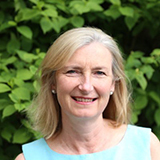 Sarah Wollaston is the MP for the Totnes Constituency and Chair of Health and Social Care Select & Liaison Committees. 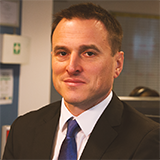 Paul Williams is a GP and the MP for Stockton South and a member of the Health Select Committee.